Learn how the holdouts on your sales team can get better results with social selling on LinkedIn. If you picked up the Old School Prospecting Playbook and turned to the very last page, you would find a classic move called “The Rhino.” It’s a hail-Mary type play for salespeople who have sent multiple messages without a response. To perform The Rhino, the sales rep sends one last message that says, “I’ve tried to contact you multiple times, with no response. I’m beginning to think either you’re not interested, or maybe you’ve been attacked by a rhino. Are you okay?” For best results, include a picture of a rhino to drive the point home. The idea is that the humor and “originality” will provoke a response. A brief snort of laughter counts as a buying signal, right? The Rhino might have pulled in a few results back in the day, but your team can do better. Sales teams that adopt social selling best practices make more connections and see more opportunities than those still using old-school prospecting techniques. Social sellers’ reliance on research, networking, and insightful engagement beats pictures of large endangered African mammals any day of the week. 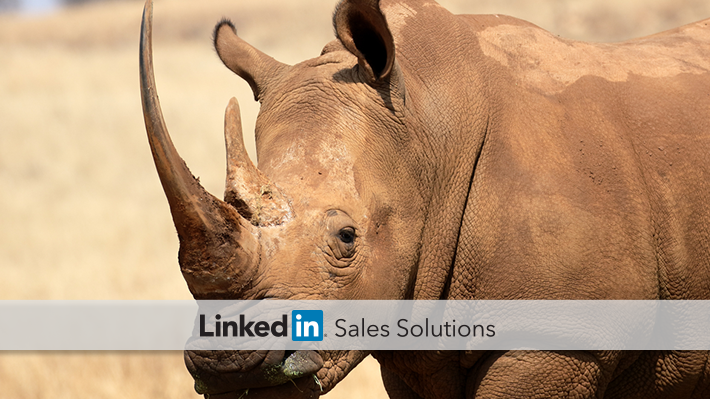 If you still have some rhinos on your sales team, here’s how to encourage them to evolve. Part of what drives salespeople to the Rhino Play is trying to make a cold connection. Encourage your team to connect with each other on LinkedIn, so they can identify opportunities for warm outreach. You can even leverage your LinkedIn network—at your discretion, of course—and make beneficial introductions. If your team has Sales Navigator, they can use TeamLink to view each other’s networks. TeamLink simplifies the process, making it easier to identify opportunities. With Sales Navigator, your team can follow people and accounts to get a stream of actionable updates. That means less guesswork and more targeted outreach. One benefit of social selling is that it seeks to build lasting relationships that go beyond the sale. Encourage your team to continue sharing valuable content with existing customers, and to be proactive in asking for referrals. 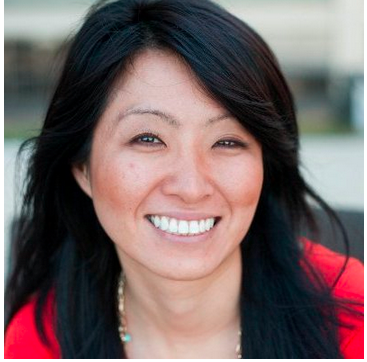 They can use LinkedIn to target more productive referrals. The process outlined in that last link makes it easier for clients to give referrals, and more likely the referrals will be actionable. With Sales Navigator, your team can sync LinkedIn with their CRM software. That way, they can connect with existing clients on LinkedIn, and use LinkedIn’s tools for recommendations, endorsements, and referrals. As buyers become more self-directed, the sales rhinos that once roamed in magnificent herds are starting to thin out. Impersonal, canned outreach (with or without a funny picture) is no substitute for warm introductions and personalized messages with genuine insight. As a sales manager, you can help bring about the organizational change that will help your team thrive in the new era of selling. For more advice on helping your team switch to social selling, download our eBook Crossing the Chasm: how to Capitalize on the Social Selling Trend.